I have recorded another figure of John the Baptist, just like that shown in 102.15-16 but with "4" on the reverse rather than "No. 4. "In this case, John the Baptist has a hole on the top of his head, and the accumulation of wax around it suggests it accommodated a candleholder of sorts. 102.17. St. Anna. St. Anne was the mother of Mary. 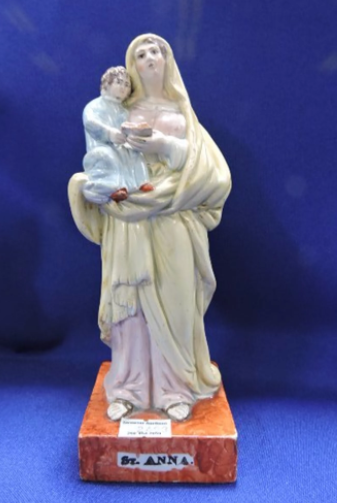 This figure is like others that Enoch Wood made for the Portugese market. 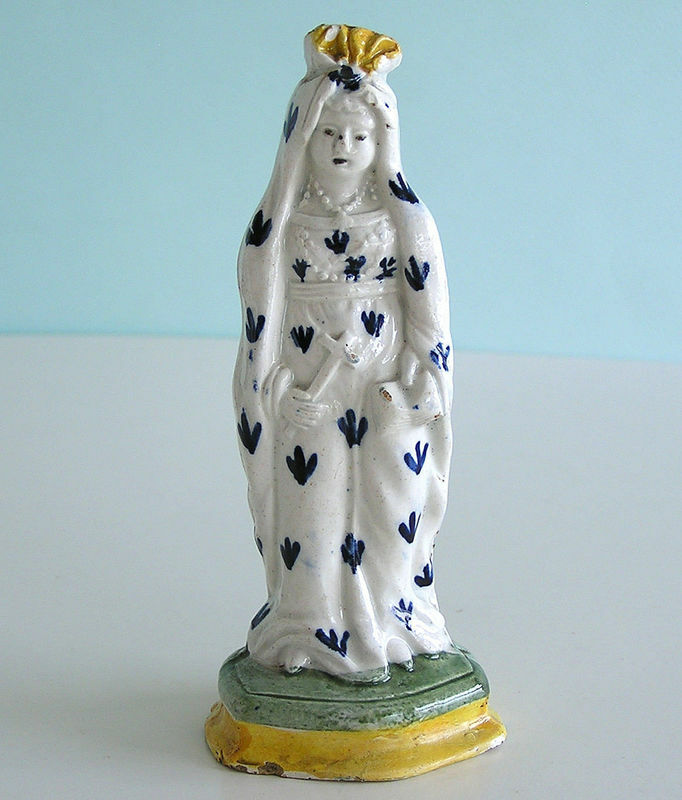 This little figure has been correctly identified by the eBay seller grana as St. Margaret, the pearls she wears being critical to that identification. I know of only these two examples, one in enamels and the other decorated under the glaze. 102.18. Courtesy Mears and Boyer.